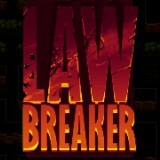 In this game you will face to so many troubles, that is why you must try to help this guy avoid police! Could you believe that? So, just be attentive enough and you will really cope with it. Use the arrow keys to move and enjoy the game.